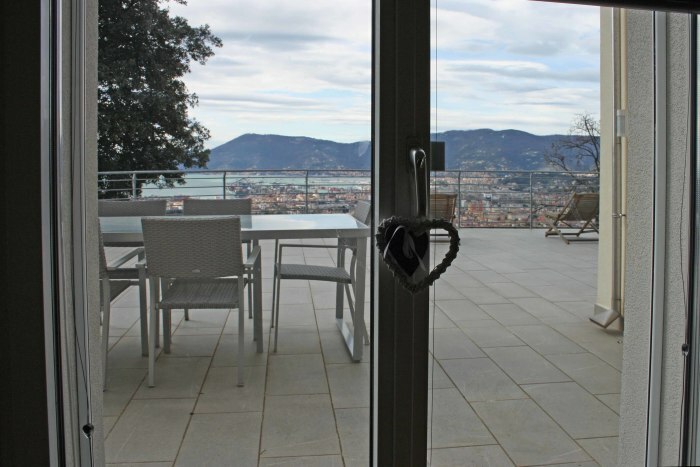 Villa with land set above the bay of La Spezia with sea views. 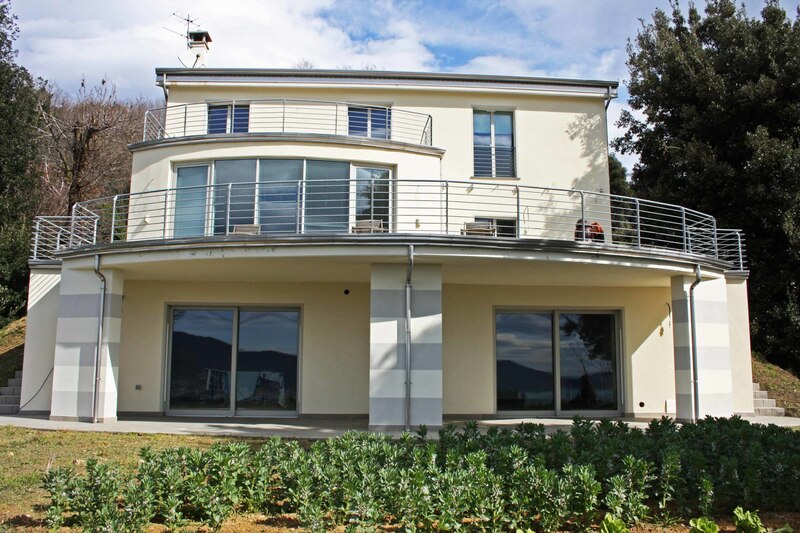 This modern villa combines architectural flair with bright rooms in a stunning position overlooking the bay. 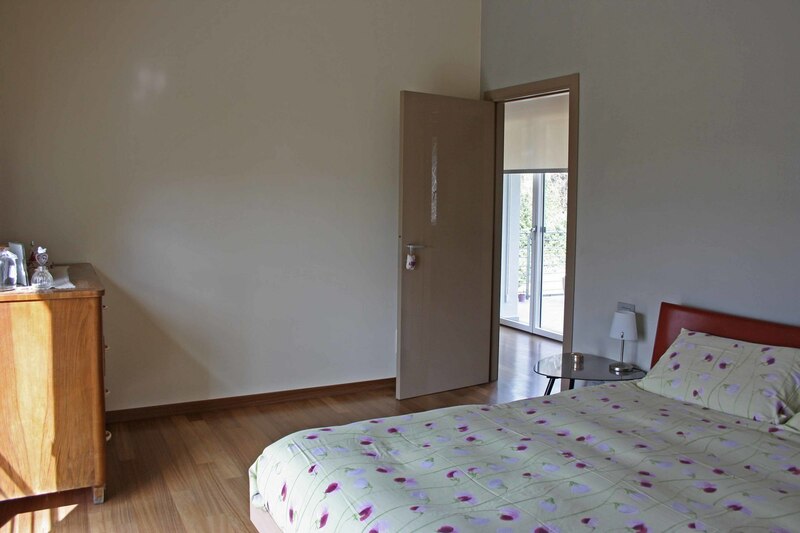 on the lower ground floor there are 6 rooms currently used as basement room with access to the garden. 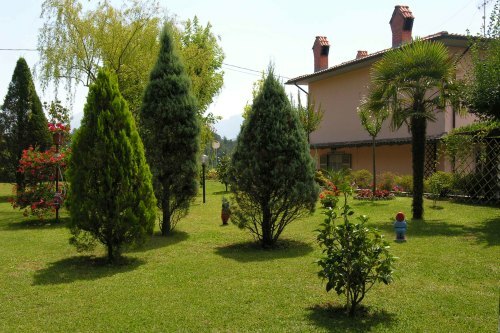 The garden totals 1.5 ha of land with fruit and olive trees. 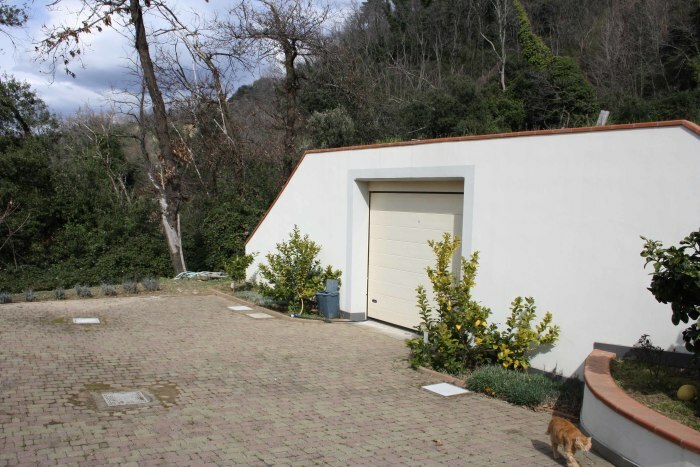 There is a stand alone garage and boiler room. 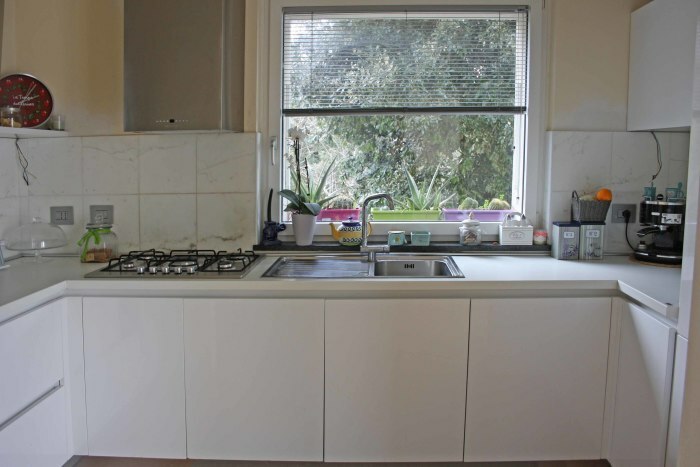 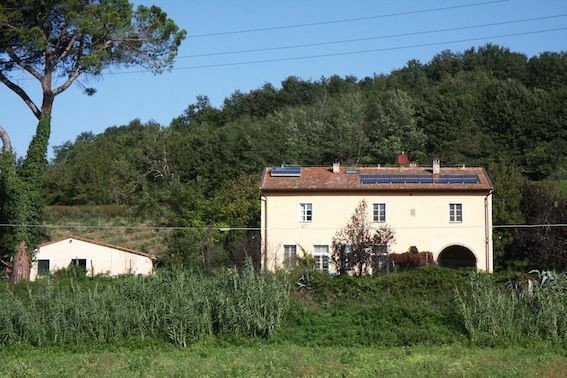 Main services with underfloor heating, solar panels. 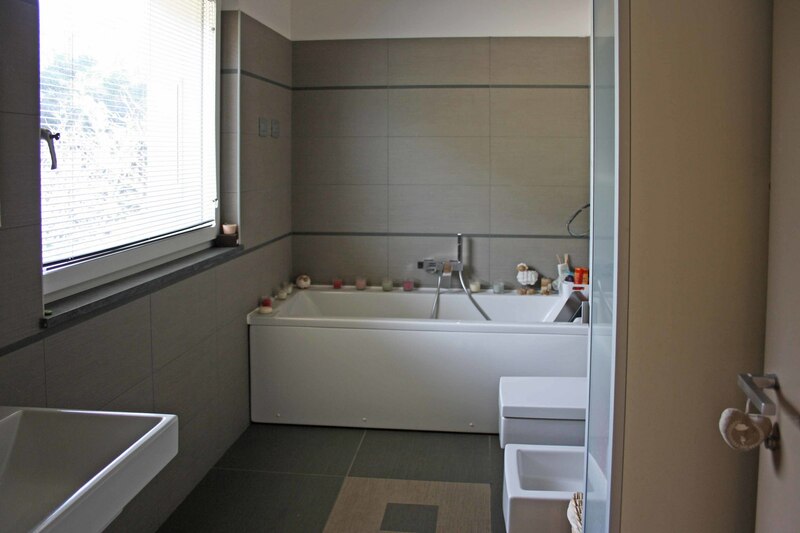 The property was designed by the architect owner with attention to detail and with a high tech spec. The property is set high on a hill overlooking the bay and a car is essential. 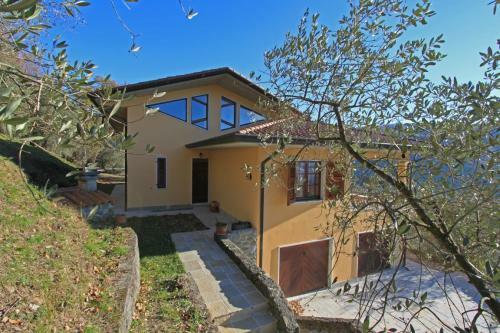 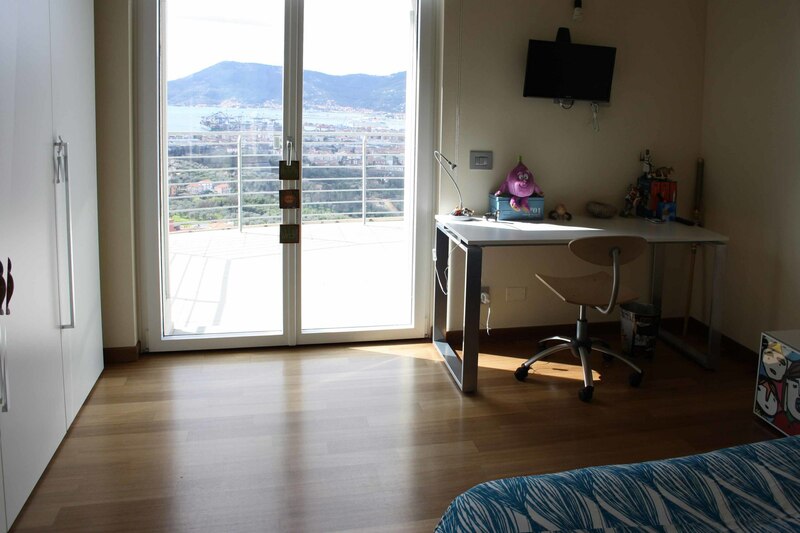 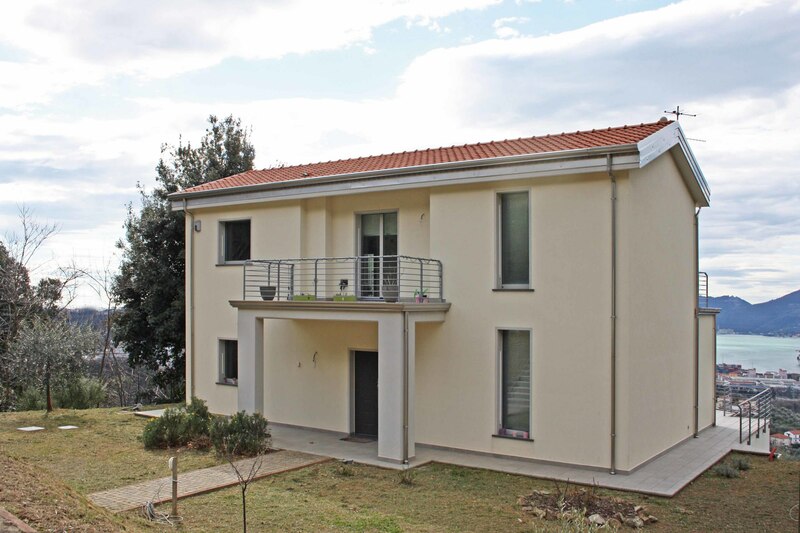 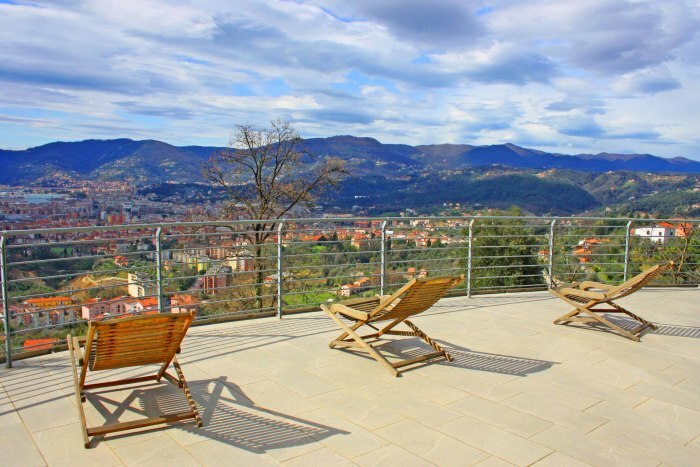 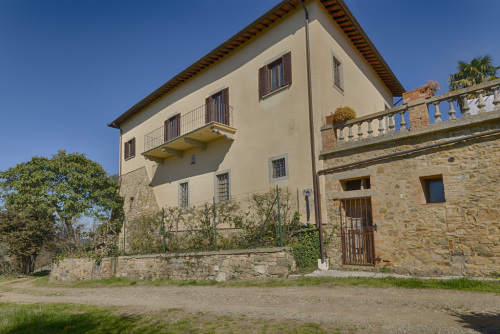 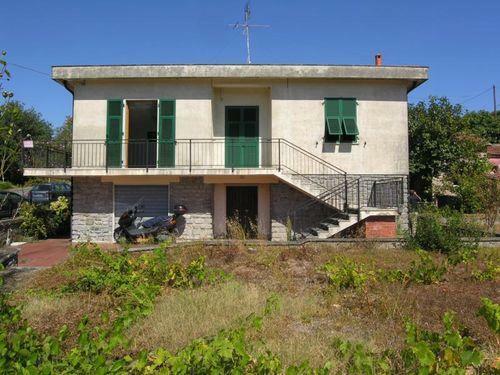 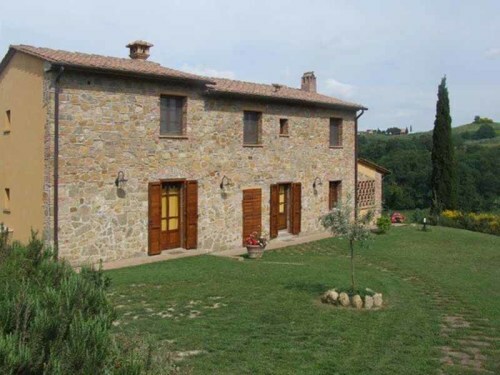 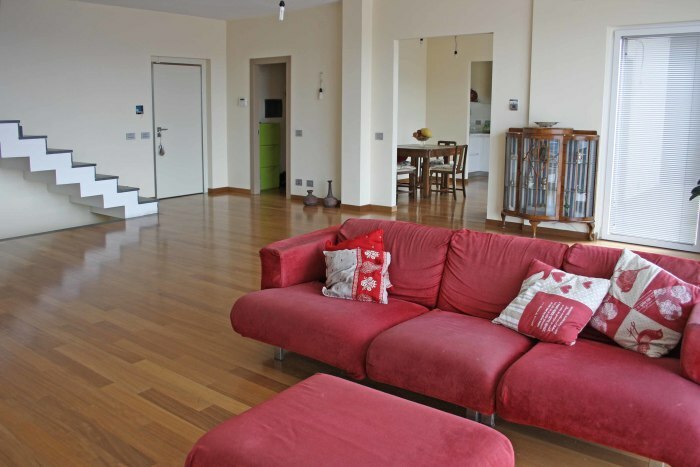 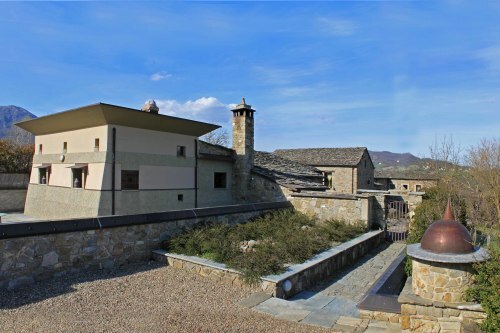 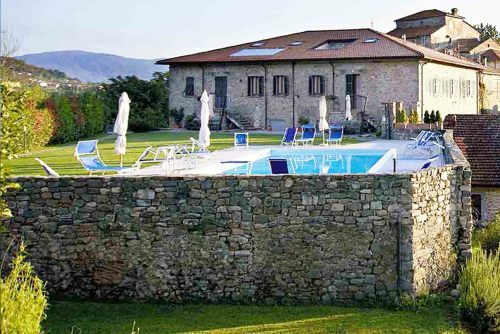 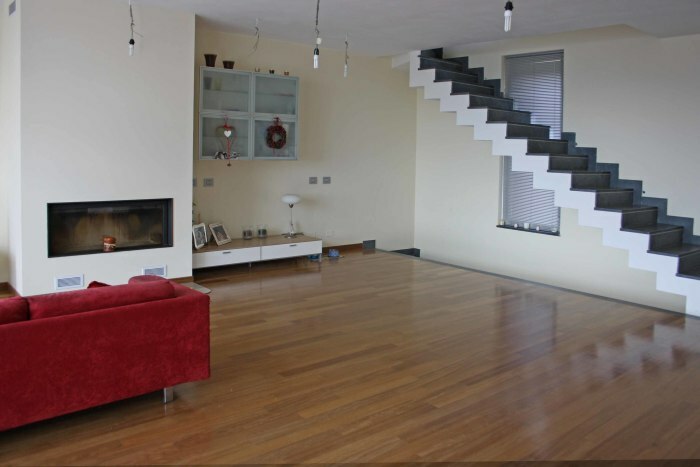 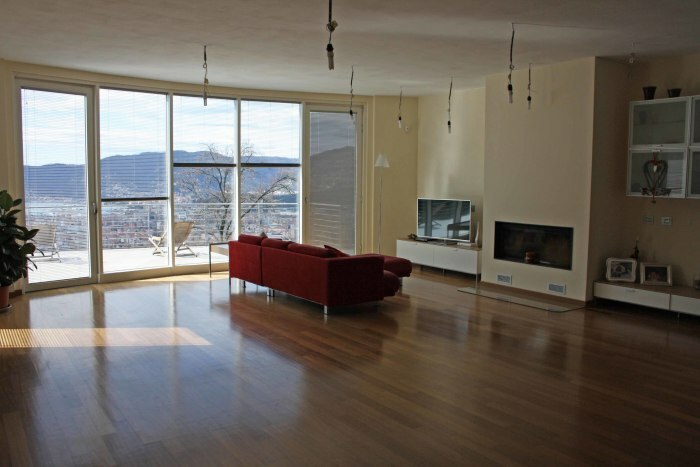 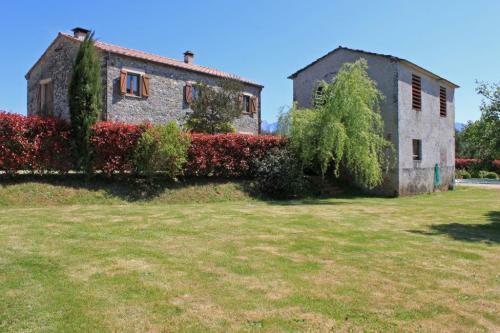 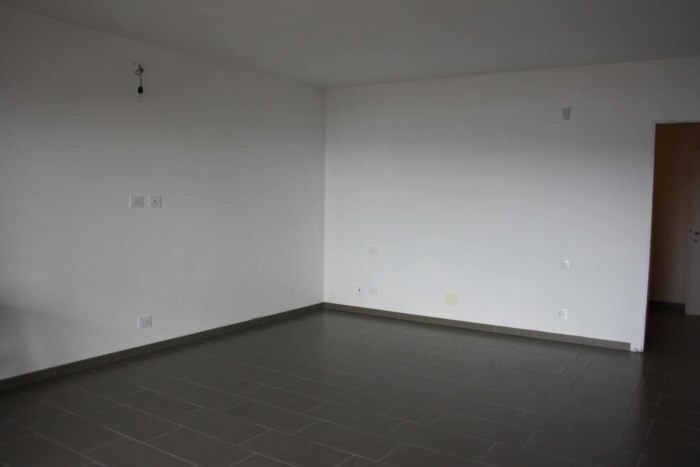 Set on a hill above the town of La Spezia and within walking distance of a hamlet with shops. 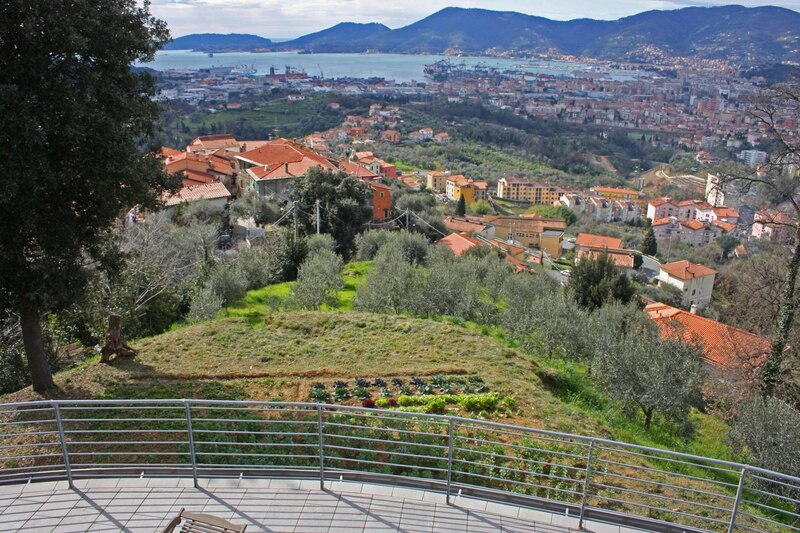 La Spezia is a large town with a pedestrian shopping centre and botanical gardens along the sea front. 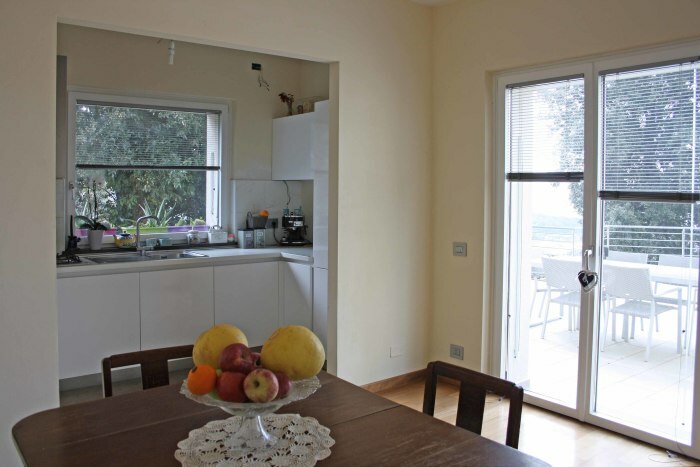 There are regular boats to Portovenere and The Cinque Terre as well as a main line train station.